The split-ups of some bands are really sad events. I still miss Earthcorpse and Aphotic, and a lot of doom-heads still find the fact of Warning’s disbanding quite dissapointing. But new bands raise their voice here and there and sometimes they become a good replacement for those who have gone. Germany’s Cross Vault, with their debut album Spectres of Revocable Loss, is like a bitter balm for the wounds of those who miss Warning. 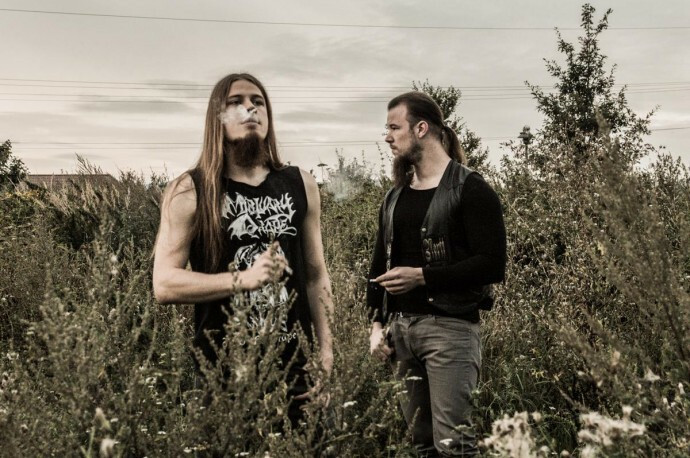 These two Germans follow the path of Patrick Walker’s band and do their best to enrich the original sound of old’n’good doom metal with their own ideas. Their first work is a very successful and masterful monument to all the things we love in this genre. This interview with M. of Cross Vault sheds some light upon the past, present, and future of this promising project. Hello Cross Vault! Who is on-line today? You are talking to M.
Got it! Good that you found some time for this interview M. Who is in the band besides you? At the moment it is just N. and me. On Spectres of Revocable Loss N. did the vocals and played the drums while I was playing bass and guitars. You have no official site, and your Facebook page is really uninformative. What are the reasons for such secrecy? Why don’t you want to get out to your listeners? There is simply not much to tell. Facebook seems to be the most effective way to share your music. A personalized webpage is, in my experience, a lot of work to build and maintain, an effort which is not rewarded evenly. Then I’m afraid that it’s my duty to ask you a question about band’s origin and musical background, both of which you obviously have. So how was Cross Vault created? N. and I have known each other for quite a long time and already played some gigs together. 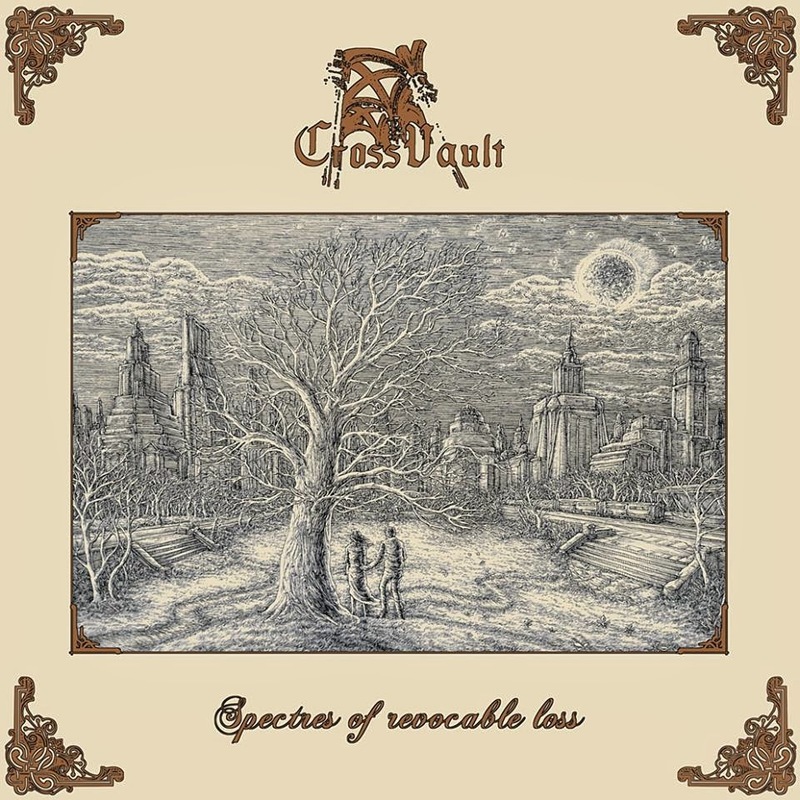 Since we share the love for classic Doom Metal, we decided to form Cross Vault. Regarding our past and current activities, although there are no secrets, we like to conceal them to avoid implications, which stand in the way of Cross Vault. By the way, were you interested in your favorite bands’ biographies and background when you were younger? In other words, was it interesting for you to read interviews and stories, or was the music itself enough? That depends. If there is a real story that transcends the music, that gives some insight into the essence of Heavy Metal music, or is just really entertaining, you may call me intrigued. To give you an example: Sodom’s Lords Of Depravity offers rich back stories, while Metallica’s Some Kind Of Monster is just embarrassing. Hm, what do you think would be interesting for us to know about your album Spectres of Revocable Loss, for those who have already heard it? As I mentioned above, I guess there is not much to tell. That album has already received recognition. It’s really strong for a debut and it’s really good for the doom scene. How long did you work on it? Thanks for your commendation! We started working on songs in Summer 2013. The actual recording session took only one weekend. In late autumn, early winter 2013, we saw ourselves ready to reach out to the world. How do you feel about the “popularity” of some bands in doom scene? Does it change anything for you that Cross Vault’s Spectres of Revocable Loss has attracted people’s interest? There is nothing wrong with becoming famous. You release your music for it to be heard, and anybody who claims the opposite is either a liar or deluded. I am actually honored to see people liking what we do. This motivates me to work harder on our next release. I’m really glad to hear that! I guess that it’s early to ask this, but do you have any specific plans or ideas for the next Cross Vault album? What are the necessary components and moods of a good doom metal album in your opinion? In my humble opinion a Doom Metal album has to be slow and heavy as well as melodic and melancholic. The ideal Doom album is complex without being pretentious and finds the perfect balance between harmony and dissonance. Were there any difficulties with incarnating your creative ideas during the creation of this work? Nothing out of the ordinary, I guess. You might get stuck during the composition, and recordings can be sometimes frustrating, but after all it is one of the most rewarding experiences to see your ideas becoming alive. The album’s artwork depicts a scene from James Orwell’s dystopia, 1984. Did that become a story for some of there album’s songs? What are your songs about? On Spectres of Revocable Loss we focus on the subject of loss. Both the artwork and the song “At our bleakest” depict the final scene of 1984, describing the shift of passionate love into utter indifference. How important do you think it is to read books today, to restore analytical thinking when everyone seems to form complete points of view based on what the Media feed us? In an ever-changing world there is no scarcity of false prophets, offering simple answers to complex questions, warning about conspiracies, where there is only human fallibility, who are rather preaching stunning misconceptions than digging deeper to find the actual, though often mundane, kernel of truth. There is, for all I know, only one way to approach the truth and it is due to hard work, rationality, and always questioning what you think you know so far. Total transparency and Pavlovian conditioning as described in 1984 paint, in my opinion, only half the picture of the world we may be heading toward. The more imminent danger in modern times is the self-chosen slavery in distraction, ignorance, and denial, as in Huxley’s Brave New World. What is your Top-5 list of the most authoritative German doom bands? I am still exploring German Doom Metal, so I can’t give you a Top-5. The first German Doom Band I ever saw was DOOMSHINE and I really like The Piper at the Gates of Doom. LICHT ERLISCHT’s …and Below, the Retrograde Disciples has been for almost a year one of my favorite German Doom records. Since I have recently started to look deeper into Funeral Doom, I stumbled upon AHAB and WORSHIP. But as I mentioned above, I have only scratched the surface of German Doom Metal and hopefully will discover many more diamonds. Thanks for the interview and for the great moods of Spectres of Revocable Loss. I hope that this album finds it’s listeners pretty fast. How would you like to finish this interview?